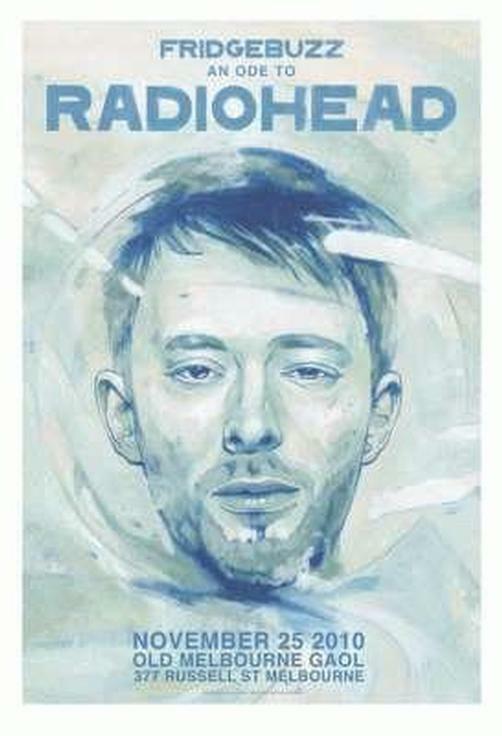 Original concert poster for An Ode to Radiohead in Melbourne, Australia in 2010. 18 x 26.8 inches. Art by Sam Octigan.